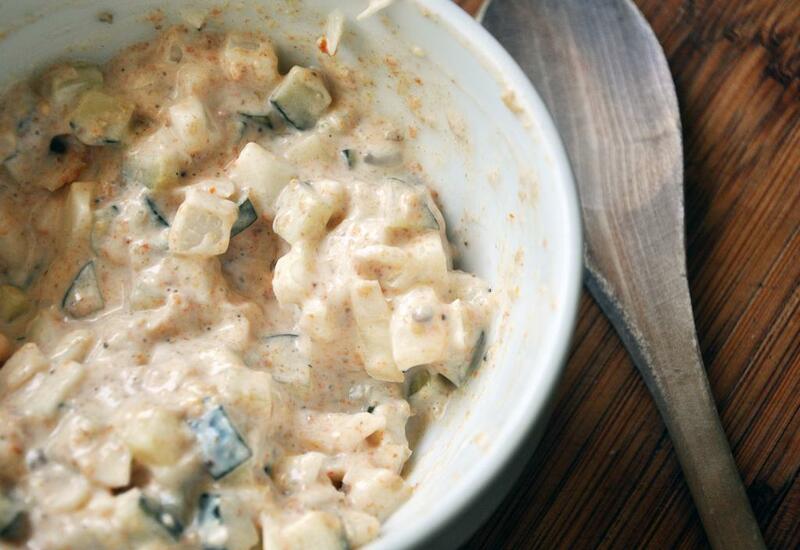 To make the dressing, combine vegan mayo, ketchup, pickle, onion and mustard in a bowl, cover and refrigerate until ready to use. 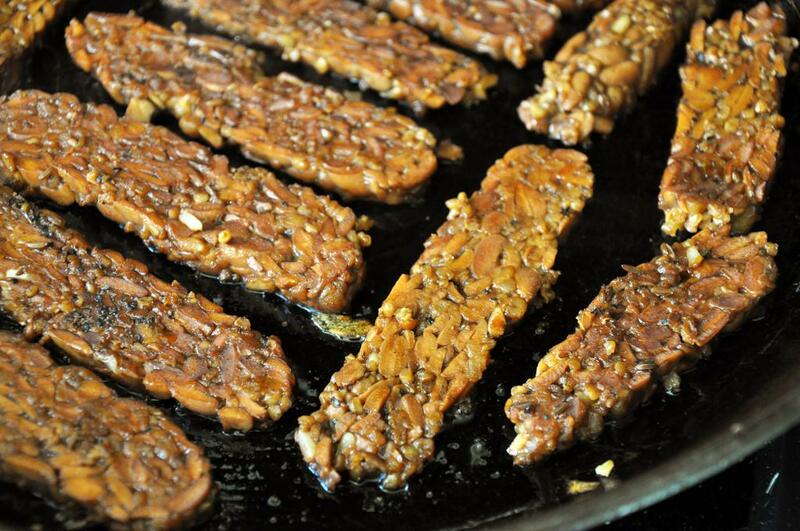 Then cut tempeh at 45 degree angle into 1/4" slices. 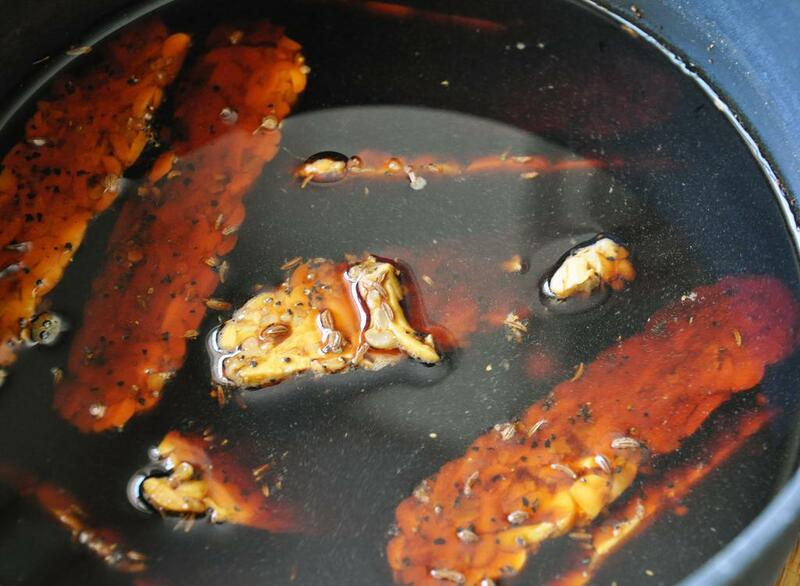 Combine 3/4 cup water, vinegar, soy sauce, peppercorns, and caraway seeds in saucepan over medium-high heat. Add tempeh and make sure to cover it with the liquid. Bring to a boil then reduce heat to low, cover and cook 15 minutes. Then remove pan from heat. Meanwhile, heat 1/2 Tbsp EVOO in skillet over medium heat. 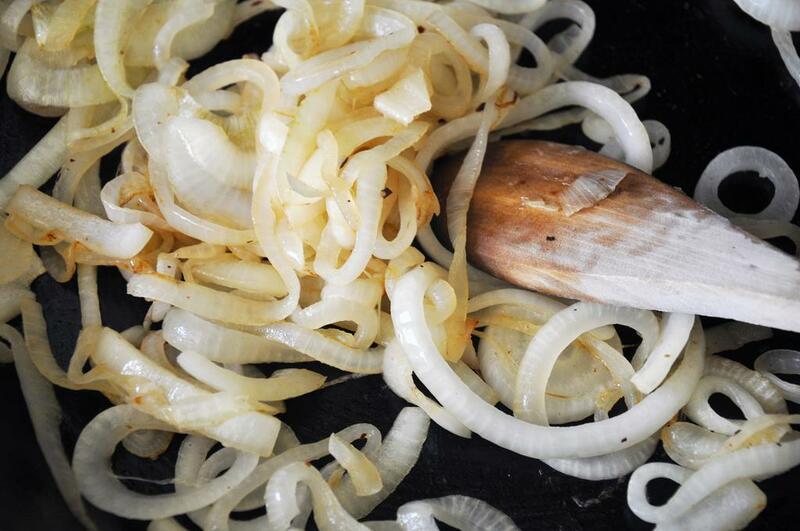 Add sliced onions and salt and cook, stirring often so onions don't burn. Reduce heat to medium-low and cook for 10 minutes. Increase heat back up to medium and cook 5 minutes more, continuing to stir often until slightly browned. Remove from heat. Heat remaining 1/2 Tbsp EVOO in small skillet over medium heat. Add tempeh and cook until golden brown - about 4-5 minutes per side. Warm sauerkraut in microwave or in a saucepan over medium-low heat. 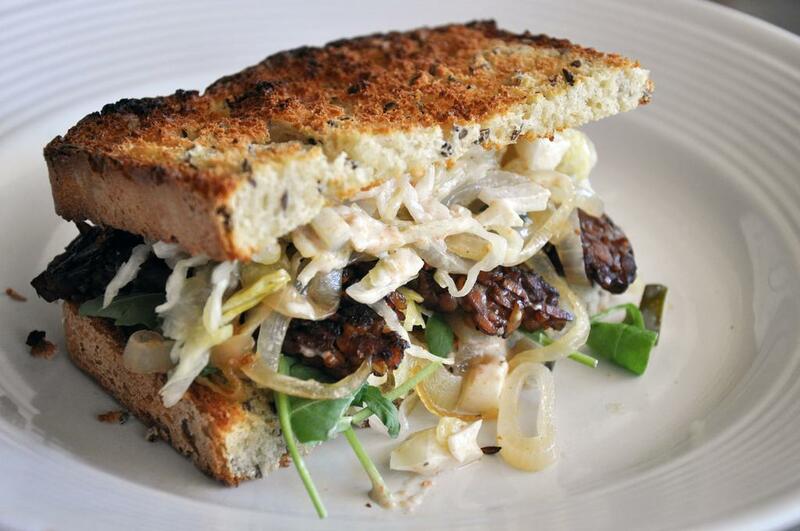 To assemble, spread dressing over toasted bread then divide the tempeh, onion, sauerkraut and arugula into four and pile it high on each slice. Serve at room temperature. A million thanks, you veggie goddess you! I was REALLY not looking forward to having to throw out that tempeh! I’ll try it this weekend and report back!